If you are intrigued by the possibilities that virtual reality could bring to your business but have been put off by the high price point of top end technology like the Samsung Gear VR or Oculus Rift, then Google Cardboard could be just up your street. The Google Cardboard experience is already available for selected apps, including Google Street View Tours, and you could soon be creating similar VR content for your visitors and customers more easily and affordably than you ever imagined. 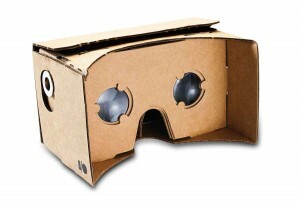 Google Cardboard is not a fancy name for some high-end tech wizardry; it really does have a lot to do with cardboard. In a bid to bring virtual reality development into the hands of the masses, Google have created a cardboard headset, compatible with most smartphones, plus an open source app developers’ kit which anyone can use. Now every business on the planet, including yours, has an affordable route into creating a virtual reality experience for their customers. 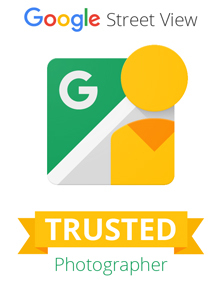 Together with stunning panoramic images from 360 Spin, providers of Google Trusted Photography for Google Business View, the opportunities for invention are endless. The VR revolution is in its infancy which is great news for SMEs. Why? Because there is plenty of scope for getting in there first and creating brand new visual experiences for existing and potential customers – a must in this competitive marketplace. Google Cardboard and 360 Spin can help you to get ahead of the rest! 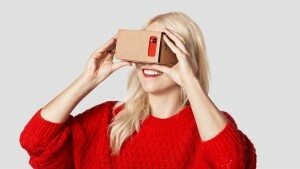 Google’s Cardboard app transforms an ordinary smartphone into a split-screen viewer, while the cut-price headset (retailing for under £30), completes the perceptual illusion while triggering an application menu using Near Field Communication. You won’t even need to involve a professional app developer (unless you want to) since Google’s developers’ kit contains easy-to-use instructions for creating your app. And with 360 Spin on hand to supply advice and premium quality photography, you really do have everything you need to blow your competitors out of the water with your innovations. Google Cardboard can also help you to market your business. For example, you could give out a free headset as part of a promotion and encourage winners to visit and share your app. We at 360 Spin have valuable experience in the creation of visual content for business, particularly using Google technology. Call us today and we will be happy to share our insight and help you to develop your ideas. Get one, fold it and look inside to enter the world of Cardboard. It’s a VR experience starting with a simple viewer anyone can build or buy. Once you have it, you can explore a variety of apps that unfold all around you.